Dayvee Sutton thinks this is the cutest video. (Only pay attention to the top of this video.) 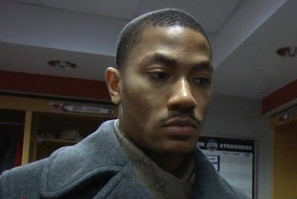 Derrick Rose tries to speak Polish to a female reporter in the locker room.